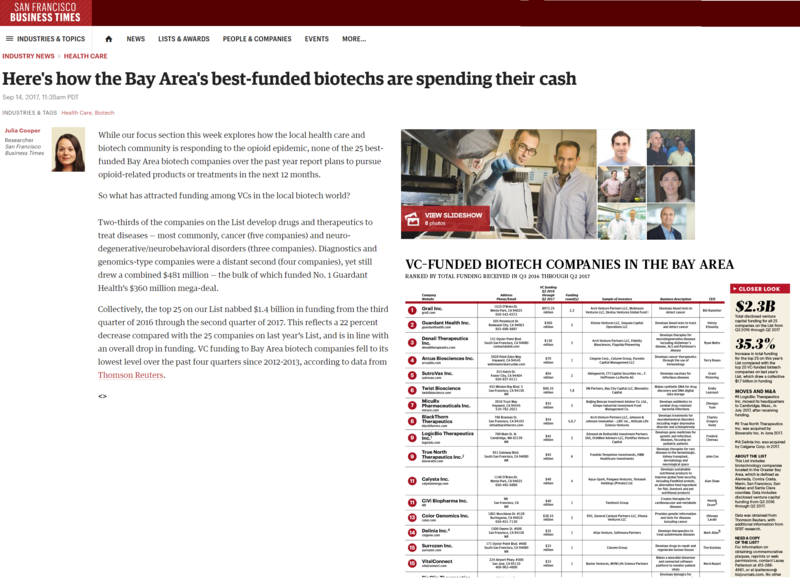 VitalConnect was featured at number 15 on this prestigious list from the San Francisco Business Times – raising $33M during the period analyzed. We rank the Bay Area's biggest venture capital-funded biotech companies by total funding in Q3 2016 through Q2 2017. Data for the list was obtained from Thomson Reuters.